Wearing helmets is universally accepted for sports like football and hockey. But in curling, the practice is sporadic and usually up to the players themselves. Some in Calgary, however, worry about concussions and have taken to wearing headgear on the ice. If you watch the video of champion curler Brad Gushue's infamous fall, you might gasp. The skip slipped and smashed his face during a Grand Slam of Curling quarter-final a few years ago. Although he finished the game, his concussion was so severe, he spent the next 14 months recovering — and wondering if he'd ever share the ice with a rock again. 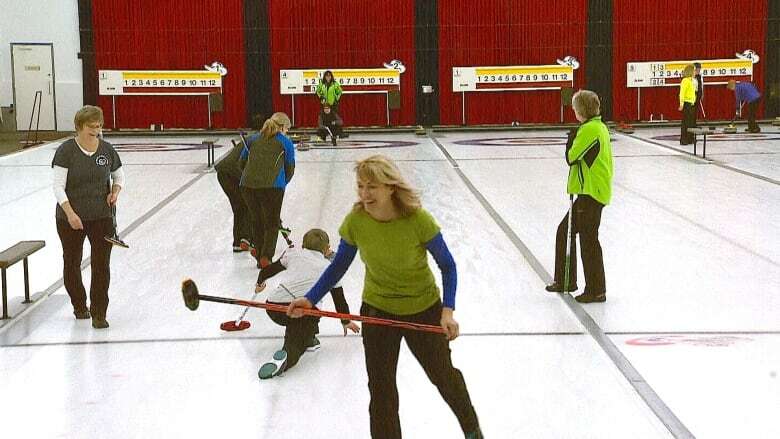 Understanding of head injuries in curling has grown since then, but for some, the solution hasn't been accepted widely enough. At the Calgary Curling Club, some players wear them and many don't. Others agree with the idea of headgear but say it's clunky and hot when they're in the heat of a match. Player Yvonne McIvor says she slipped in one game when skipping and went "bang on my head." Her head bled and paramedics told her she had a concussion. "Because your head goes back and forth, boom boom boom, it stretched these [neck muscles] and I had trouble breathing a little bit," she said. She admits she doesn't always wear one because sometime it gets too hot. But she says she thinks everyone should wear one, especially people who are unbalanced. 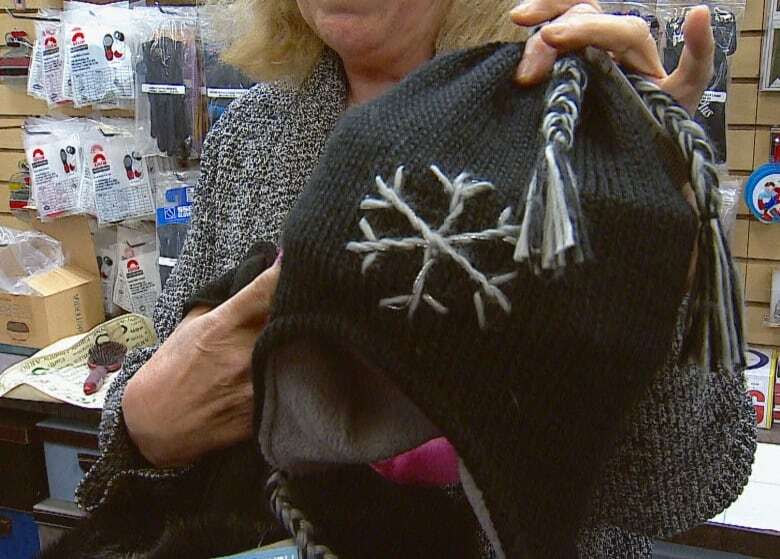 But overall, more are turning to headgear and they're buying it more often, says Bernice Merrick, who sells gear at Curler's Corner within the club. "We have slipperier materials on our feet with the sliders and so on and so forth," she said. "So it's just something that's very important to protect the head and protect us from concussions." A curling shop in Ontario issued a plea on Facebook recently for players to wear headgear — even if players worry others will roll their eyes. Shop staff knew a player who ended up in intensive care after a head injury. Curling Canada can't mandate headgear because each club is independent, an association director told The Canadian Press. However, it strongly recommends all players wear protection. 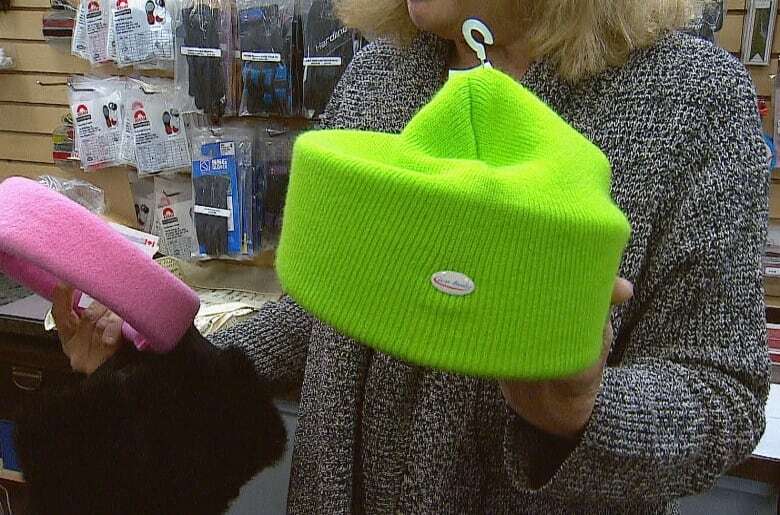 The Calgary shop has started to sell options besides helmets to encourage more adults to wear protective gear. It sells baseball caps with cushioned band to protect against backward tumble. There are also tuques with a band that wraps around the whole head. Junior players are more likely than adults to dole out cash for protection, Merrick says, adding the club promotes helmets for newer players. But some adults, and many seniors, are starting to buy in. Jane Bleaney says she tries to wear hers at least at the season's start when she's getting used to the ice again. "I don't wear it all the time. I know I should," she said. She knows of a few people who've been injured playing the non-contact sport, like a teammate who fell in front of her. 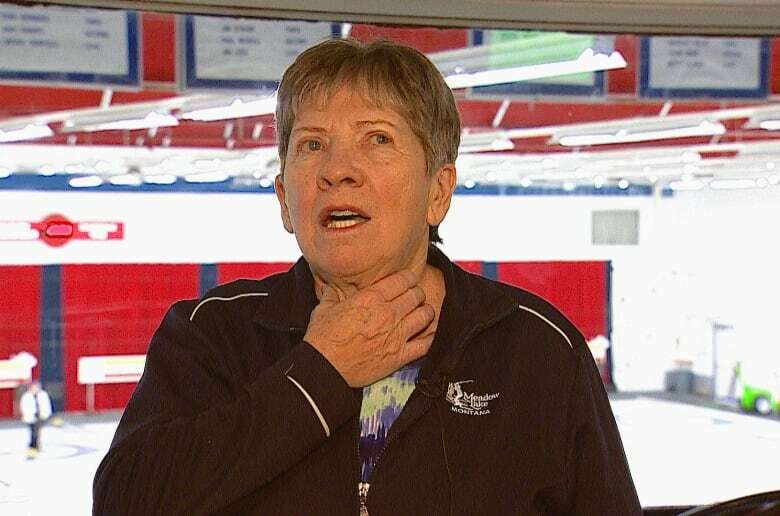 The concussion kept the woman off the ice for six months, and Bleaney said, "she still gets a little dizzy." "It's very important because all it takes is, it's a split second," she said.